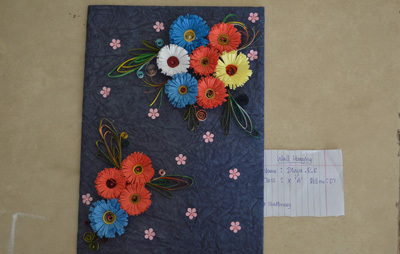 This competition was conducted on 20/06/ 2015. For the students of grade IX & X. 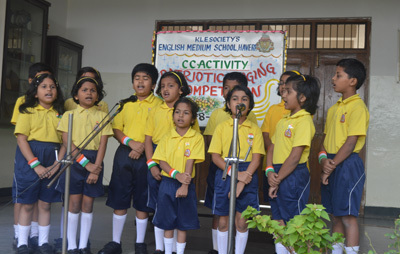 Students performed the patriotic songs in the competition which was judged by Mr. Shravan Kumar and Mrs Nagaveni. The students performed various kinds of patriotic songs by which they learnt the values of patriotism and the love towards our nation. 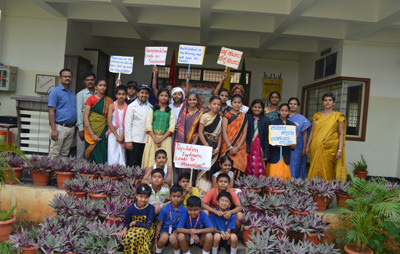 CCA activity conducted on 20/06/2015 for students of grade VII & VIII. Students were grouped topic was of students choice. 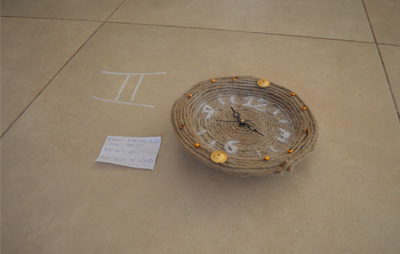 Students took one hour to make it. Judgment was made by class teachers with the help of drawing teacher. 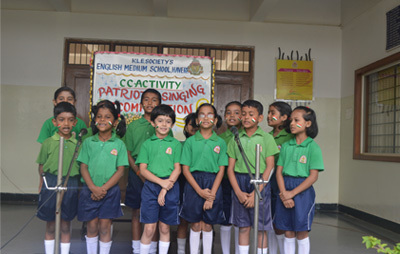 Memory competition was held on 4/7/2015. Students participated very interestingly. Some items kept on table depending on their memory power they have to write in the paper with the correct spelling. 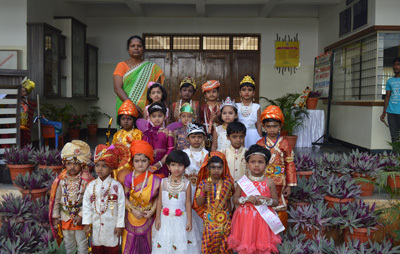 There was a Shloka Competition which was held on 4/7/2015. It was conducted for grade V and VI. 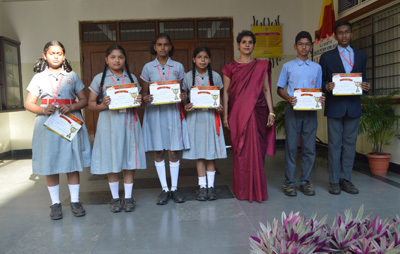 This competition was encouraged the students to know more about Sanskrit shloka along with meanings. 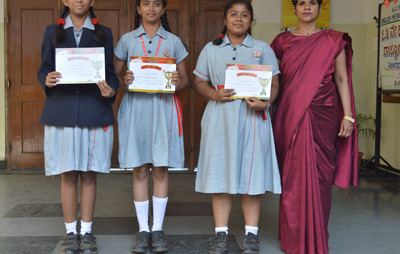 On 4/7/2015 Debate competition was conducted for grade IX and X. 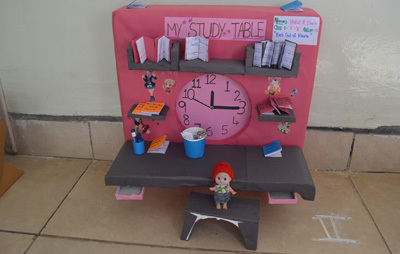 Every student participated actively and judged by senior teachers. North Karnataka Sahodya Singing Competition was hosted by our school on 6/12/14, Saturday. 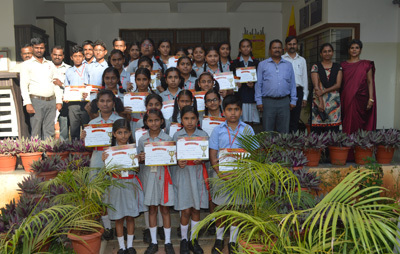 7 schools participated in the competition. There were 3 categories of competitions in group i.e. Folk Song Competition, Patriotic Song Competition and Classical Singing Competition,. 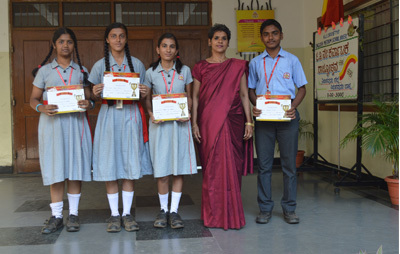 The judges of NKS Singing Competition were Mr.Pavan A Kulkarni, Mrs.Vani Kanekal and Mrs.Shilpa Yadwad. 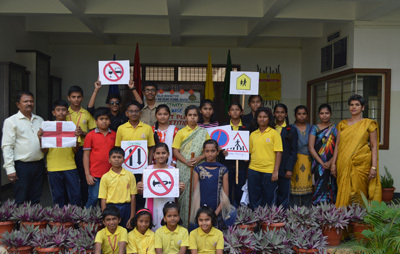 The participants were from (1)VVD School of Excellence, Halyal, (2)Shantiniketan Public School, Khanpur, (3)KLE S’s School, Saudatti, (4)Nittur Central School, Ranebennur, (5)Smt Drakshayini Kalyanshettar Public School, Hubli, (6)Shri Basava Public School, Ilkal and (7)KLE S’s School, Haveri. 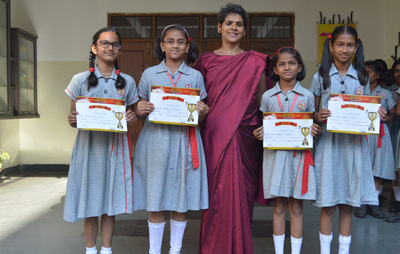 Smt Drakshayini Kalyanshettar Public School, Hubli secured 1st place in Folk Song Competition, VVD School of Excellence, Halyal secured 1st place in Patriotic Song Competition and KLE S’s School, Haveri secured 1st place in Classical Music Competition. 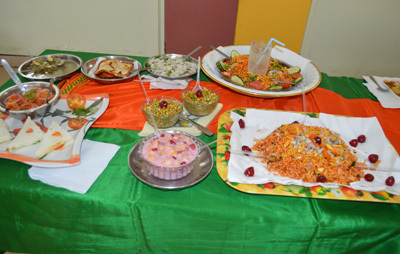 There was lunch arranged by our school after the competition. 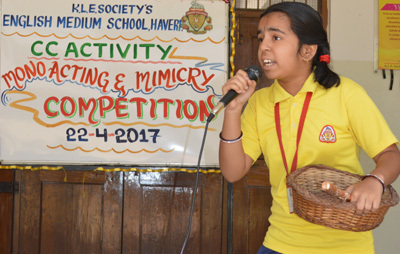 On account of Annual Social gathering on December 15, 2014, various competitions were held in the school like Mehendi Competition, Rangoli Competition, Pulses Arrangement Competition, Aarti Rangoli Competitions on different days. 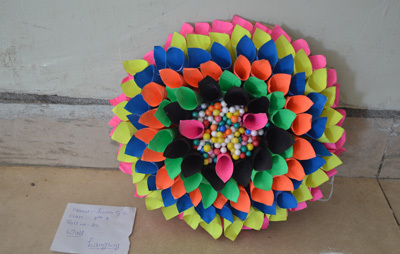 The students of grade 9 performed group activity. They measured the area of a triangular plot by using the Heron’s Formula under the guidance of Mr. Basavaraj Battur. This group activity is one of the tools for FA-1. 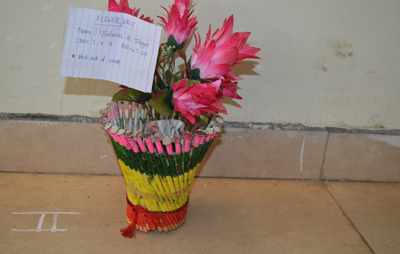 Under the guidance of science teacher Mrs. Nagveni Rao Grade 5 students performed the activity of “Fossil Making”. They brought different types of soils and clay and some shells. They took the impression of shells on clay and dried them. Grade 10 students along with the in charge teacher Mrs. Dayavati M visited some of the gardens of the town to learn the Gardening Skills. 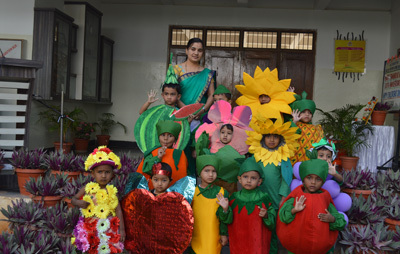 In addition to academics children have lots of opportunities to exhibit their talents. 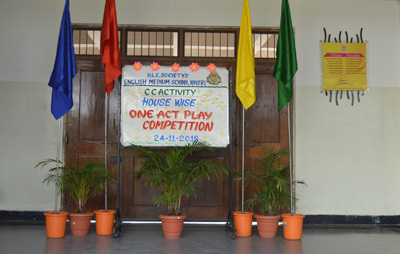 Class wise and inter house competitions are conducted. To develop social and civic responsibility as well as respect for themselves and their environment the school has its own cabinet. The cabinet has 22 ministers and 4 elected members. There are 10 departments and 3 clubs for functioning. 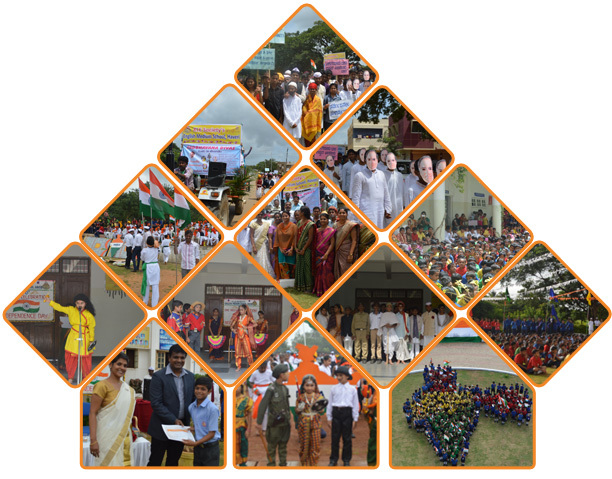 Various cultural activities like Time- Table making competition, Vachana Recitation, Science Exhibition, Essay Writing, Education, Hand Writing, Inter - House group singing and Quiz were conducted. 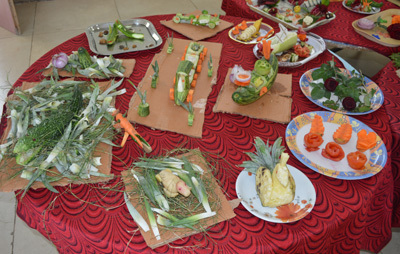 On account of Annual Social Gathering children are given an opportunity to exhibit their talents in Arati, Rangoli, Pulses decoration, Science Exhibition, Flower arrangement and Vegetable carving. 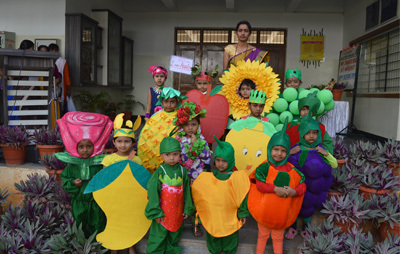 Green – Grapes – Capsicum (in the month of September) are displayed to the students of Kinder Grant. Along with color concept importance and constituents of fruits and vegetables in daily diet were also briefed to the students. 12th September 2013, IT Quiz. Miss. Akshata Patil and Miss. Sushmita Jois of Grade X attended the Taluka level IT Rural Quiz and are qualified for the Divisional level Rural IT Quiz competition. 13th August, Patriotic Singing Competition. 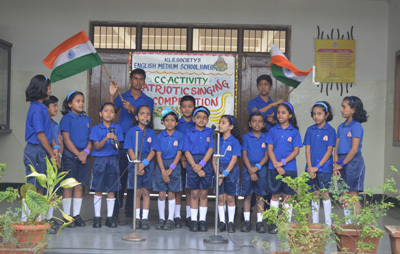 Patriotic singing competition was held on 13th August. 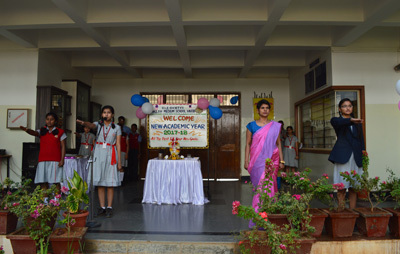 Judges were Mrs. Jaya Hegde and Mrs. Madhumathi Kulkarni. 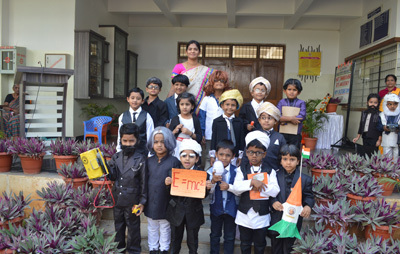 The theme was ‘Unity in Diversity’. Yellow house bagged the first place. 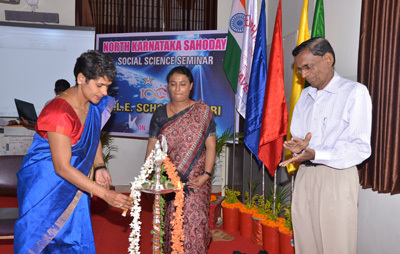 24th August 2013, North Karnataka Sahodaya Quiz Competition. 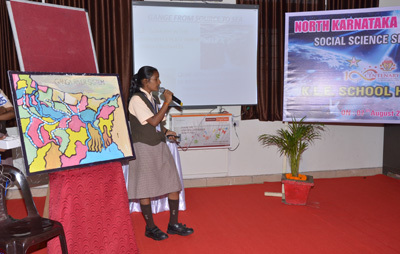 North Karnataka Sahodaya Hosted quiz competition at Royal Palace School, Jamkhandi and our school students namely Karthik Sannanigannavarrade of grade IX and Bharat Bennu of Grade X participated in the Quiz. Abacus 1st Level Training on 15 & 16 April, Abacus 2nd Level Training on 21 &22 April and 3rd Level Training on 28 & 29 April were held at Belgaum in IFD Centre. Mrs. Vandana Redekar and Mrs.Kantimati Dikhsit addressed the trainees.